Mushroom Kits are available in white button, portabello & combination kits. 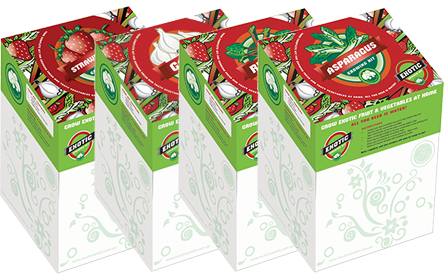 We also have mushroom & herb kits - grow fresh, tasty herbs and mushrooms at home. Grow perfect oyster mushrooms at home with our all new oyster mushroom kits. Grow exotic fruit & vegetables at home. All you need is water! 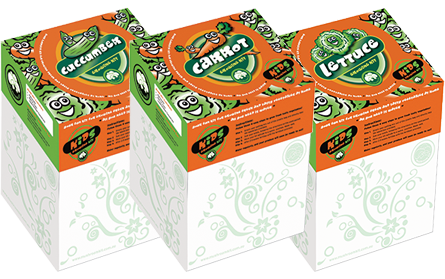 A fun range of kits for growing fresh and tasty vegetables at home. All you need is water! 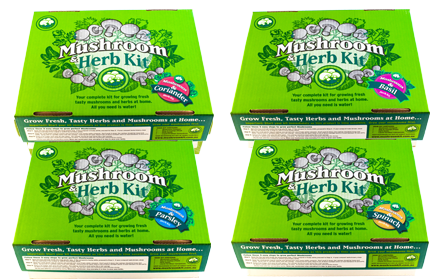 Mushroom Kits are now available from retailers around the country. 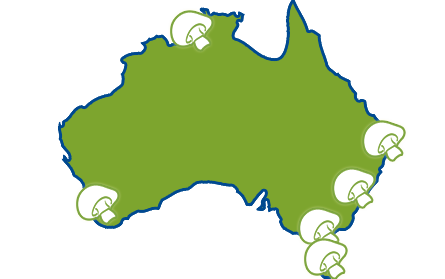 Buy one now from Masters, Mitre 10, Home Hardware, & many local garden centres. Grow your own mushrooms at home...it's easy! All you need to do is add water and wait for the mushrooms to grow. The first mushrooms are usually ready to be picked within 3-5 weeks of starting the kit. Our kits contain everything you need, except the water. The mushroom compost has already been prepared and inoculated with the mushroom mycelium (the fungus). All you need to do is add water and wait for the mushrooms to grow. The first mushrooms are usually ready to be picked within 3-5 weeks of starting the kit. Enjoy! 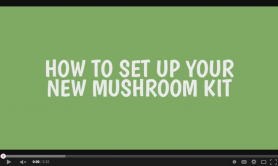 Watch some videos on how to set up your new Mushroom Kit here.